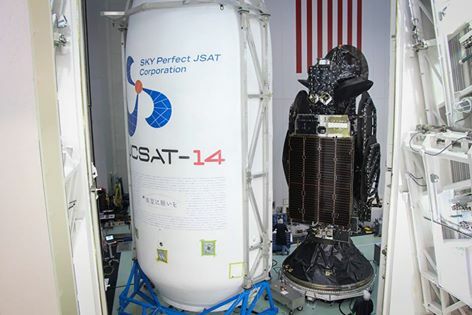 JCSat-14 is a commercial communications satellite built by Space Systems/Loral and operated by SKY Perfect JSAT Corporation based in Japan. The spacecraft replaces the JCSAT-2A satellite at 154°E launched in 2002 and is approaching the end of its 15-year service life. 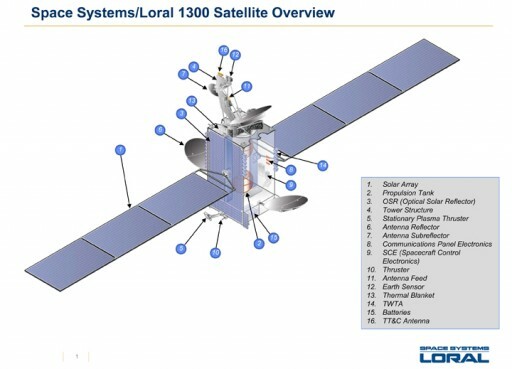 The JCSat-14 spacecraft was manufactured by SS/L at its Palo Alto, California facility using the flight-proven LS-1300 satellite platform as a basis. It is the 102nd LS-1300 satellite to be delivered by SS/L. JCSat-14 uses the medium-power variant of LS-1300, featuring two three-panel solar arrays that deliver around 10kW power to a dedicated system that conditions the satellite’s power bus and controls the state of charge of the vehicle’s batteries. Three-axis stabilization and navigation is accomplished by state of the art navigation sensors and reaction wheels. The satellite is equipped with a chemical propulsion system for orbit-raising and stationkeeping using a main apogee engine and a series of attitude control thrusters. 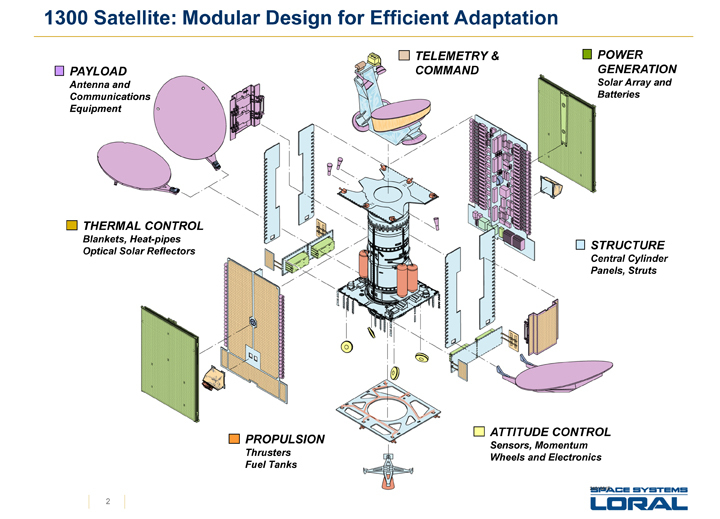 LS-1300 also provides the option of an additional electric propulsion system, whether this option is exercised for JCSat-14 is not known. The spacecraft is expected to operate for at least 15 years. 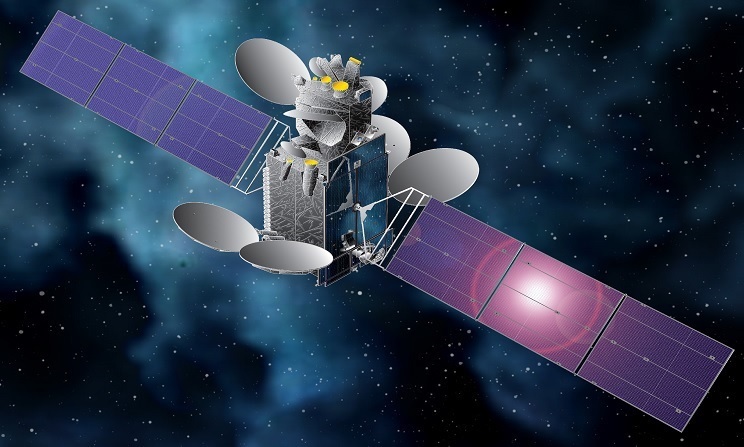 JCSat-14 is outfitted with 26 C-Band and 18 Ku-Band transponders to deliver flexible communications coverage to a wide area over Asia and the Pacific Ocean. SS/L was selected in June 2012 to manufacture the JCSat-14 satellite and SpaceX was chosen as launch provider in January 2014 after Falcon 9 successfully completed its first two Geostationary Transfer Orbit Missions. 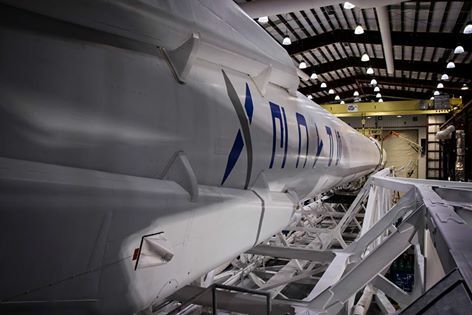 Originally, the satellite was set for launch in the second half of 2015, but the failure of Falcon 9 during the Dragon SpX-7 mission led to a multi-month stand-down in Falcon 9 launch operations. 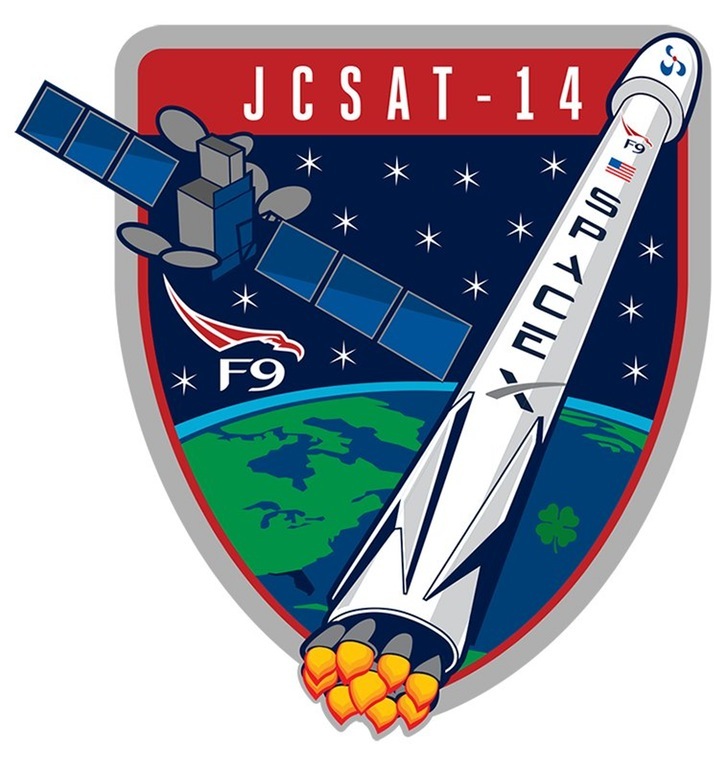 Being given a slot right after the Dragon SpX-8 mission, JCSat-14 was delivered to Cape Canaveral in mid-March to complete final processing ahead of its installation atop the Falcon 9 rocket in the days ahead of an early May liftoff.